Provided meals and Christmas gifts for low-income families. 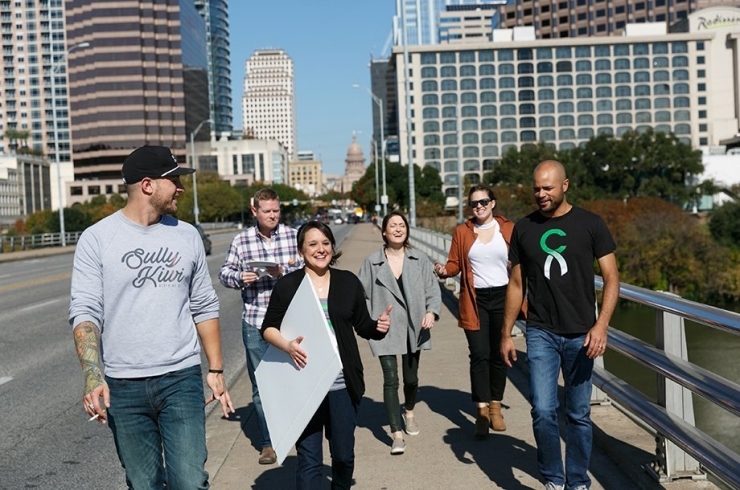 Since 2012, Chive Charities has raised nearly $1 million for first responders and disaster relief causes. There were individuals like Billy Wynne, a flight paramedic who survived when his helicopter made a 300-foot free-fall and crashed during a rescue flight; and Devon Colbert, a firefighter who became paralyzed in a car accident while holiday shopping with his son. This holiday season, we wanted to give back to a local organization run by the Travis County Sheriff's office called Brown Santa. 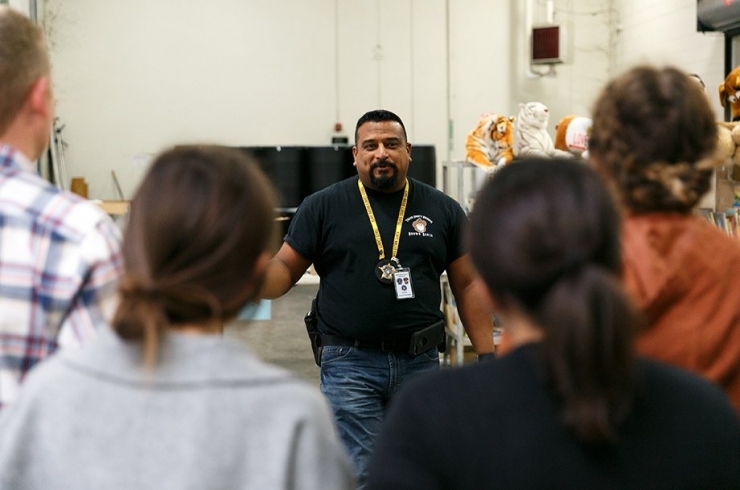 Each year, Brown Santa delivers Christmas to around 2,000 less fortunate families in the Austin and surrounding areas. Chive Charities and theCHIVE decided to get in on the action. 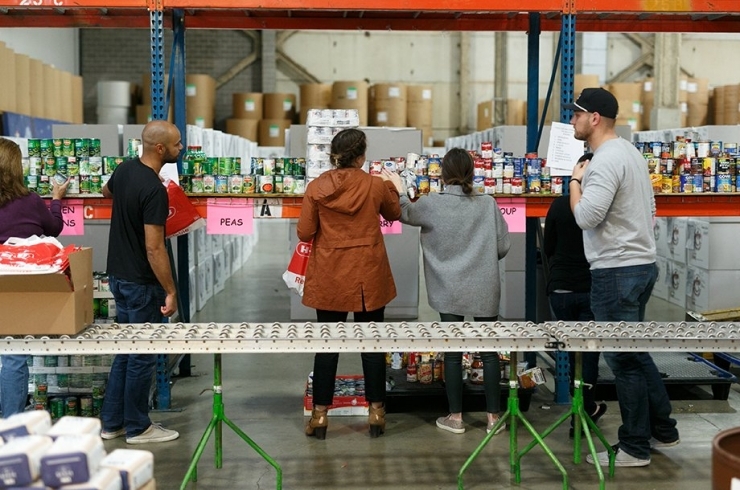 The Brown Santa operations warehouse is located just across the river from theCHIVE HQ, so we decided to volunteer and bring them a surprise. This is Louis Moncivais, Senior Deputy and Brown Santa Vice Chairman. He explained that each child from the recipient family we were helping would receive individually wrapped books, toys and a puzzle as well as a stuffed animal. In addition, the family received a board game and a full holiday meal, including a turkey. Our job today was to put together 250 meals for families around Austin and the elderly. It took us a bit, but we became a well oiled machine! 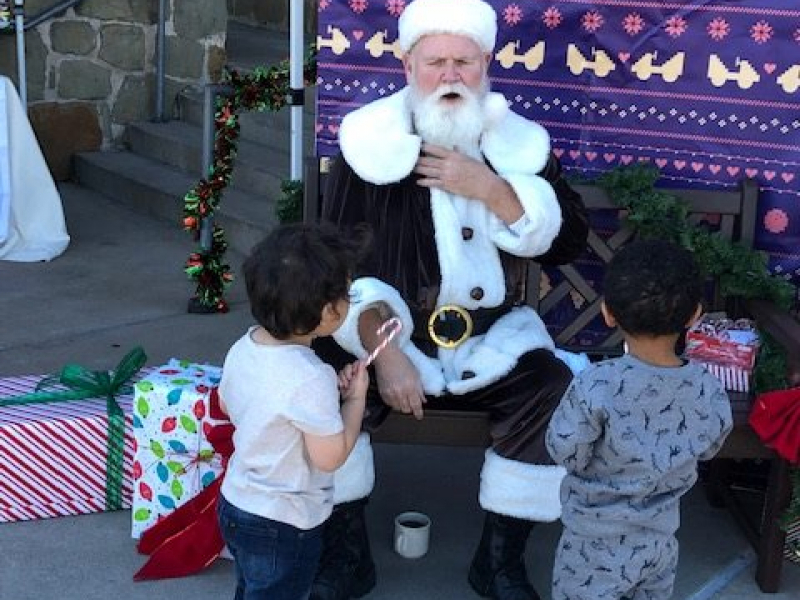 When it was all said and done, we called Louis over and presented him with a $50,000 grant from Chive Charities to help cover almost all of the extra food and toy costs for this year’s holiday drive. 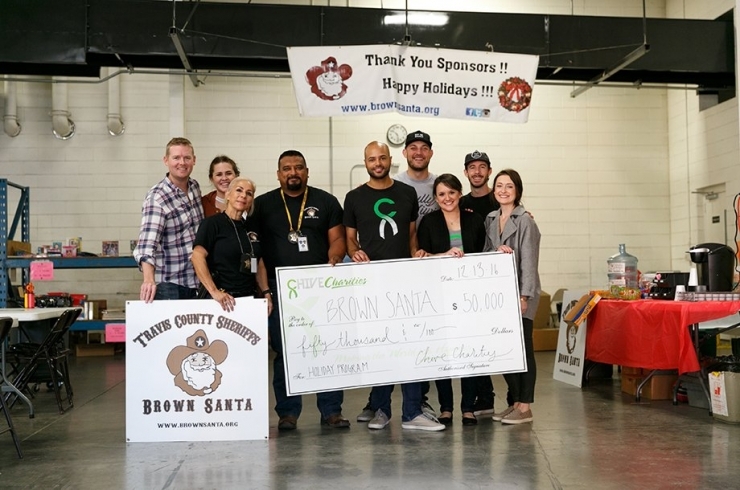 THANK YOU to the good folks at Brown Santa for caring for our community, to our team for joining us on this adventure, and to our Green Ribbon members for their outstanding support. To give monthly and become a Green Ribbon member, click RIGHT HERE!